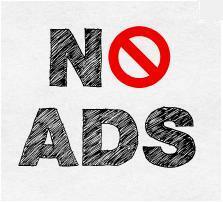 Don't Want To Show Ads to Your Regular Readers? While running a website, there are few things more important than giving a good user experience, especially to those who regularly visit your blog and check out its new content.One of the ways of making visiting your site a better experience is to remove the ads.Obviously you can never remove the ads completely as that would cut your profits and then you may not be able to finance the website.But you can make sure that your regular readers have that experience of no ads. There is one easy way to make sure that most of your regular readers do not see ads and that is to prevent your ads appearing on new posts for at-least two days.You can enable ads again after the first two days.This will give enough time for all your regular readers to go through your content without any ads.Later on you can enable the ads again so that you are able to monetize your content, for those viewers that come by not so often.